Washington Information Network 211 held their 10-Year Anniversary event on January 31, 2016. The memorable event was held at the Washington State Governor’s Mansion in Olympia. 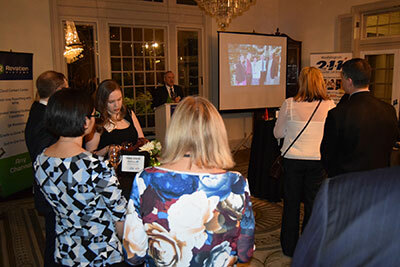 The evening event was filled with stories of WIN211’s history, pride in its achievements, recognition of those who paved the way for the 211 system in Washington and a bit of fun and whimsy. Linda Crerar, WIN211 Board Member and Chair of the 10 Year Anniversary Planning Committee, was joined by Chris Spaulding and Ying Wang, Masterworks Singers, in a rendition of Happy Birthday WIN211.